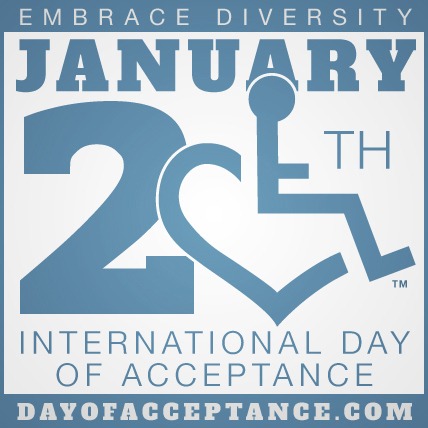 DAY OF ACCEPTANCE — Franus Architectural Associates, Inc.
Today (1/20) is The International Day of Acceptance. It is a day dedicated to social acceptance of disability and to honor the late Annie Hopkins, founder of 3E Love. We encourage you check out their site for more information about Annie and the organization. How does that relate to architecture? The Americans with Disabilities Act (ADA) was signed into law on July 26, 1990 by then President George H.W. Bush. In addition to many other regulations, the ADA Standards establish design regulations for the construction and renovation of all facilities that fall under the law. Those facilities include places of public accommodation and commercial facilities, as well as state and local government facilities. That law guides a very large part of what we as architects do when it comes to commercial design. Every detail from door width to the location and number of toilets must comply with the federal regulations. Some clients question why their small (or not-so-small) business has to adhere to the regulations. There are thousands of pages of accessible design requirements for public spaces, but quite simply, it’s the law. Still, they try to plead their case with statements like, “Well, XYZ Company doesn’t have that much space behind their counter,” or “I’m the only one using this bathroom, so it doesn’t have to be compliant.” Architects can’t control or comment on the compliance – or lack thereof – of other locations. We can only control our own project designs. In addition to the federal requirements, architects generally work very closely with local code enforcement officials to make sure all regulations are met and file for any variances that make sense for the project. While multifamily units built or renovated using federal funds must follow the ADA Standards, residential dwellings are exempt from the ADA regulations. However, some people may benefit from considering the details of an accessible residence. Age, an unexpected health condition, an accident, or having to care for a disabled family member are just a few of the situations that may put people in a position they didn’t expect to find themselves dealing with at home (yes, age can come as a surprise). Having an idea of which small changes can make big differences in comfort and convenience can go a long way in easing that transition. For example, the simple addition of grab bars in the bathroom can easily fit into the style of the room while providing a measure of safety and stability. This is a classic combination of form and function. Of course there are large-scale accommodations, as well. These renderings show the same kitchen design – one is handicapped accessible, the other is not. Side by side, you can see the changes and how much of a difference they can make in the life of someone in a wheelchair. So, as you go through your day today, take a few moments to consider the challenges faced by those with disabilities and appreciate their strength in overcoming them. One of the messages taken directly from 3E Love page and directed at those who have a disability is this: "You are not living disabled, you are living." The ADA was developed and implemented to make living a little easier.